Dreaming about getting away but can’t afford to fly with the family? Motorhome rentals can be a great way to experience a nice camping retreat. If you love to travel, camp and experience the outdoors, renting a motorhome may be just the ticket for a trip your entire family will enjoy. 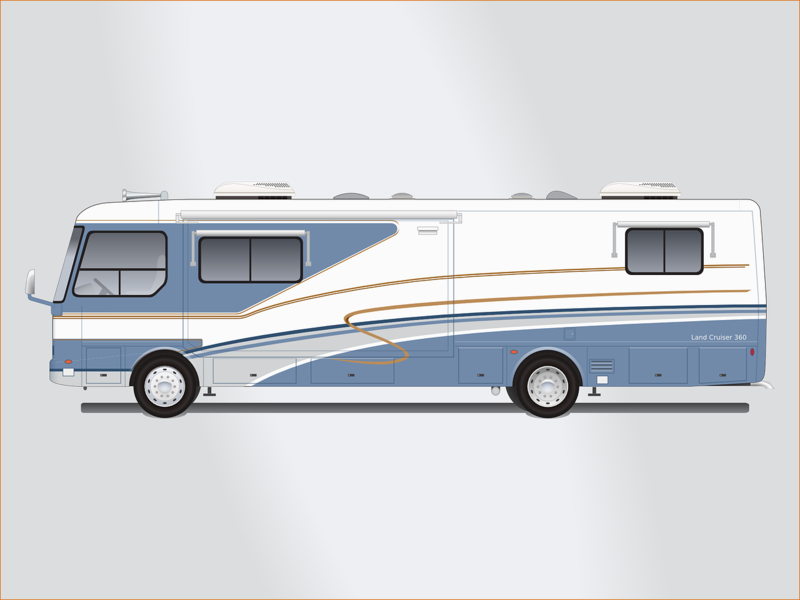 Most motorhomes come equipped with air conditioning, awnings, bathrooms, refrigerators and kitchenettes and are available in a variety of sizes with multiple sleeping quarters. Long Island has numerous motorhome rentals, RV friendly parks, state parks and beaches so you don’t even have to travel too far to get away! Plan your trip in advance! Big vehicles use more gas. Be sure to do your homework on gas mileage and expected costs for fuel and for travel. Make your life easier and find out what parks have RV water and electric hookups and how much they charge for access and for site rentals. Before you rent a unit or leave a deposit, be sure to thoroughly inspect and document any existing damages. If you intend on getting your security deposit back in full, this means taking the time to make sure everything works (the lights, awnings, blinkers, wipers, radio, air conditioning, etc.). Take pictures of any existing scratches, dents, missing pieces or interior trim or broken items. Some of the best trips can turn into nightmares if these items aren’t working, so be sure of the condition of the vehicle you are renting and document everything thoroughly. Read the contract… even the fine print! If you are not comfortable with the terminology or are not sure… don’t sign it! Ask for a copy to take home and review thoroughly before you agree to it. Never pay the security deposit in cash. Protect yourself and make use of your consumer protection credit card laws if you run into any trouble. Your credit card company will generally back you up and help prevent fraudulent charges if you aren’t happy with the product or felt you were deceived by the rental company. Always be sure to check out consumer affairs on businesses before doing business with them, read up on reviews, make sure the company maintains their vehicles and will provide you with a satisfying experience. It’s a good rule of thumb for any purchase, but especially when it comes to your vacation experience. Have fun! Renting a motorhome can turn a camping trip into a really great time!... The family can hang out together in this mini home, play games, have access to food and drinks… and generally feel very much at home both while you’re traveling on the road and while you are at your destination.